. 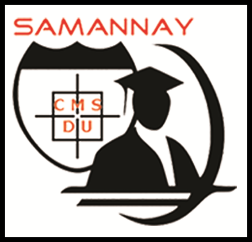 ::SAMANNAY - the CMSDU Alumni Association::. The alumni of Centre for Management Studies, Dibrugarh University are slowly and steadily leaving their mark professionally in the organizations they are working and in this way, the Centre is leaving its footprints in the corporate world as a B-School of substance. The Centre's graduates are making an immeasurable contribution to represent CMSDU first-hand. The Centre and the Alumni wants to continuously engage with each other so as to strengthen the Centre. Samannay - the CMSDU Alumni Association was formed and is functioning with this purpose. This web portal is an attempt in bringing all the registered members of SAMANNAY together and closer.